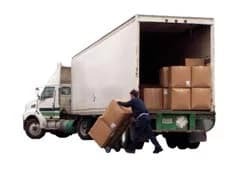 Moving from Texas to Mexico - Compare Movers & Save up to 70% ! Save both time and money with international moving quotes from removalists on Intlmovers. In a couple of minutes, you can complete your request and your moving details are automatically forwarded to up to six companies whose profile matches your moving requirements. There’s no chasing around, no waiting around. The companies will respond directly to you to arrange a customized quote for Moving from Texas to Mexico. International moves are not something to be taken lightly. There is a lot of work involved, and often it is accompanied by a fair amount of stress too. You can avoid much of that unwanted pressure by entrusting your international move with industry professionals, who are experts in international shipping and management. One of the main benefits of comparing quotes is that it allows you to see at a glance the different types of services that are available, and their relevant costs. You can avoid paying too much by obtaining a number of quotes in a single request with Intlmovers. Be sure to compare quotes for their overall value, and not just their price, to ensure that you are getting the services that you need that match your budget needs as well as your international moving requirements. You can enter Mexico without a visa if you are travelling with your valid passport that includes the migration Form for Tourists, Trans-migrants, Visiting Businesspersons or Visiting Consultants. This is able to be obtained travel agencies, airlines, as well as at your point of entry into Mexico. This applies for all permanent legal residents in the USA regardless of their nationality. Canada and the USA agreed upon that you need to prove your nationality with a passport or another official document which includes a photo. This can be your voter registration card, a copy of your birth certificate or your naturalization certificate. Whilst Mexico has one of the largest economies in the world, the average number of households that receive an income that is under the national median has increased over the last few years. Mexico has a large economic disparity between the rich and poor citizens. The services industry makes up the majority of the employment areas in Mexico include tourism, financial and banking and hotels, as well as health, telecommunications and transportation. Many US citizens choose to relocate to Texas due to a lower cost of living than they are used to in the USA. Whilst Mexico can be an attractive option for a lifestyle change or retirement, not everything is cheaper in Mexico. Computer, cameras and some other homeware items are more expensive. However, everyday costs such as rent, fuel and groceries are generally cheaper. In addition, costs of property are not only cheaper but so are maintenance costs as well as taxes in general. It is always difficult to place a direct comparison on cost of living as prices will vary depending on your income, where you choose to live and your lifestyle. Intlmovers has partnered in helping people find the right international moving company quote since 2003. Intlmovers sends thousands of international removal quotes per day for people that are moving from all over the USA to anywhere in the world! Queen size bed, 1 dining room table with 8 chairs, antique mirror, 4 large framed pictures, 8-10 boxes packed, glassware, ski & poles, 1 small antique chest, 1 small sofa”. Things just get done differently here so don’t expect that things will be exactly like home. It is not that it is better or worse, it is just different and you need to accept it. I think this probably applies no matter where you move to actually. I already made some investigations about accommodation and some of the other processes before I arrived so I had a better idea of what to expect. I think that it really helped me prepare much better and avoid some of the initial settling in issues that many people often find. I didn’t speak very much Spanish before I moved, so I arranged to do a refresher course at my local center. My limited knowledge came flooding back and I found it really useful to have done a little preparation beforehand. I had so much junk that I had accumulated over the years that making a big move was my big prompt for a cleanout. Fortunately I allowed myself plenty of time to do this before the movers arrived, so I only had to pack things that I really wanted to keep. I was in a rush and I found it really useful to take advantage of the packing and storage services offered by the moving company. It helped me make better use of my time preparing for other things before I moved, and the move went really well without any damage or delays. I wasn’t expecting the hoop jumping so I’m glad I did a little research online before I made my visa application. It helped me avoid a lot of messing around and delays – just try to be patient! I had to arrange to get my paperwork done so I was very happy to have had someone to help me prepare for this. It cost me a little more for professional assistance but I do think it was worth it. Being able to check all the options out online was really useful. It is worth doing a little research on the internet beforehand to know what to expect. When you request quotes with Intlmovers there are a number of benefits to you. It is quick to submit a request, so easy to use and best yet, it is completely cost free. The request that you submit is also completely obligation free. Should you not be happy with any of the quotes that you receive, you are not obligated to accept any of them. Only accept a quote if you are completely satisfied that it meets your needs. Using Intlmovers is completely risk free, because it is obligation free!